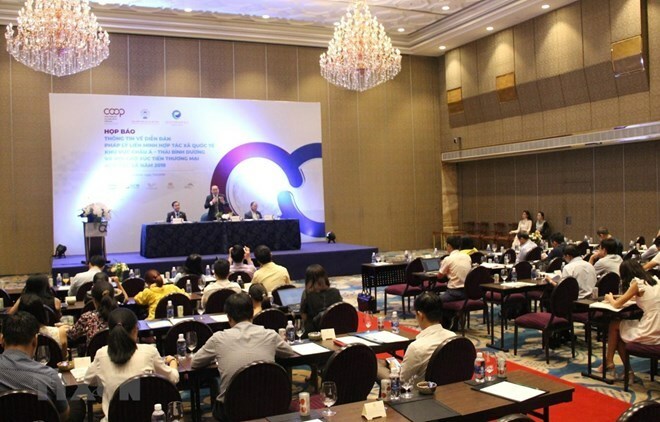 Themed “Creating an Enabling Legal Framework and Policies to Promote the Sustainable Development of Co-operatives in the 21st Century,” the event is expected to gather delegates from the Vietnamese Government, the ICA-AP, heads of cooperative alliances in 63 cities and provinces, and 120 international representatives. President of the Vietnam Cooperative Alliance Nguyen Ngoc Bao said on April 11 that the forum will deliberate on development trends and their impacts on cooperatives in the 21st century, as well as exchange experience in the creation of an enabling environment for the cooperative eco-system. The event will also bolster collaboration between the Government and the cooperative movement in settling current socio-economic issues, he added. Meanwhile, Director of the Institute of Vietnam Organic Agricultural Economics Le Thanh said that the forum creates opportunities for regional countries and international organisations to gain a deeper insight into the Vietnamese cooperative economy, and for domestic cooperatives to introduce their products and gain access to the Asia-Pacific market. 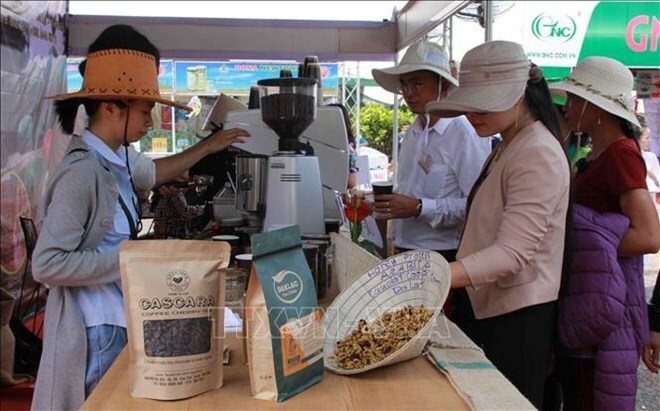 On the occasion, a trade promotion fair will be organised in Ho Chi Minh City, with 350 booths displaying agro-forestry-fishery products, industrial products, agricultural machinery and equipment, and plant protection products, among others. Exhibitors include domestic cooperatives and businesses, as well as those from Japan, Taiwan, Thailand, Malaysia, and the Philippines. Vietnam is currently home to more than 22,400 cooperatives, with over 7 million members. Around 13,000 cooperatives operate in agriculture. Tai stressed that international trade has witnessed the formation of global value chains, which attract the participation of not only developed, but also developing nations. In developing countries like Vietnam, global value chains have helped local enterprises gradually undertake different stages of the production process and bring into full play trade advantages, thus speeding up the industrialisation process, he added. The Vietnamese economy has maintained its development trend over the past time. According to a report by the General Statistics Office (GSO), the national GDP in 2018 rose by 7.08 percent year-on-year, the highest level since 2008, in which the industrial sector enjoyed a growth rate of 8.79 percent, accounting for 28.44 percent of the GDP. The index of industrial production last year increased by 10.2 percent, with processing and manufacturing remaining the main driver with a growth rate of 12.98 percent. Over the past few years, both domestic and foreign investors have continued to put their confidence in the stability of Vietnam’s macro-economy and invest in the country’s industrial sector. Some outstanding investment projects are the 35-trillion-VND (1.5 billion USD) Vinfast automobile production complex project, with a capacity of 500,000 units a year; and Hyosung Corporation’s 1.2-billion-USD project to build a polypropylene (PP) plant and underground storage facilities for LPG. GSO statistics show that last year, processing and manufacturing attracted the largest share of foreign investment, with newly-registered capital totalling 9 billion USD, accounting for 50.5 percent of the total newly-registered capital. 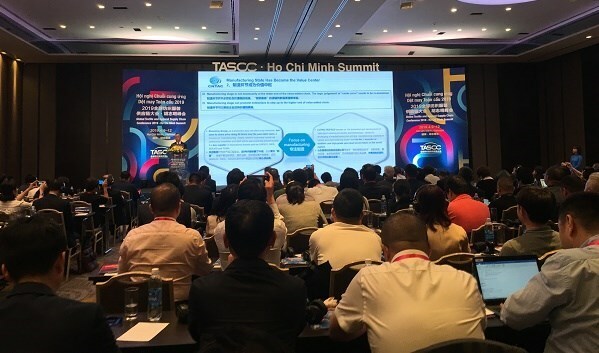 Big enterprises choosing Vietnam as the location of their factories offers opportunities for Vietnamese businesses to participate in global value chains. For example, the Republic of Korea’s Samsung Group recently announced its requirement of about 500 supply firms for its production facilities in Vietnam during the 2019-2020 period. 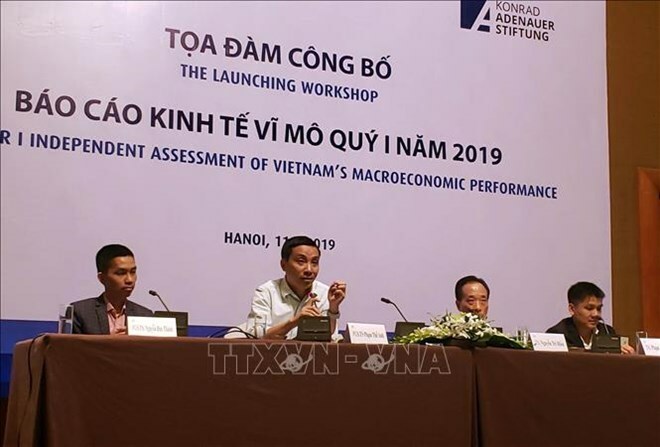 However, Vice President and General Secretary of the Vietnam Association for Supporting Industries Truong Thi Chi Binh pointed to the fact that many small- and medium-sized Vietnamese enterprises have yet to meet orders, either in terms of price or volume. Therefore, Binh advised businesses to choose products suitable for their capacity. She also stressed the need for policies to prioritise domestic supply, and attract domestic and foreign investments in the production of certain products depending on different periods. 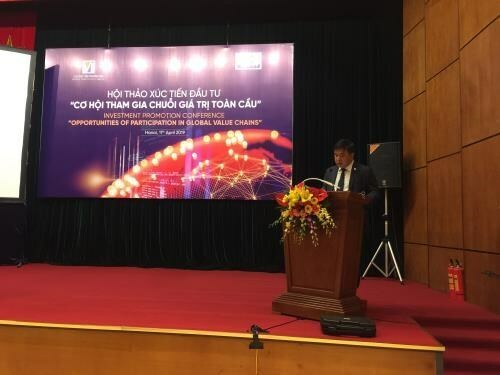 Speaking at the event, Deputy Minister of Agriculture and Rural Development Le Quoc Doanh said agriculture is important to Vietnam’s economy, with cultivation accounting for 75 percent of agricultural production value. Currently, there are seven home-grown produces that earn over 1 billion USD from exports each year. Four of them rake in 3 billion USD, including rice, coffee, fruit, and cashew nuts. The cultivation sector strives to achieve an annual growth of 2-2.5 percent in production value and export turnover of 22 billion USD by 2020. However, it faces intense competition with other sectors in terms of workforce and land. The farming scale remains sporadic with limited adoption of technological advances. In the near future, the Vietnamese Ministry of Agriculture and Rural Development and the Dutch Ministry of Agriculture, Nature, and Food Quality will step up technical projects in agriculture and encourage Dutch investment in the field in the form of foreign direct investment and public-private partnerships. 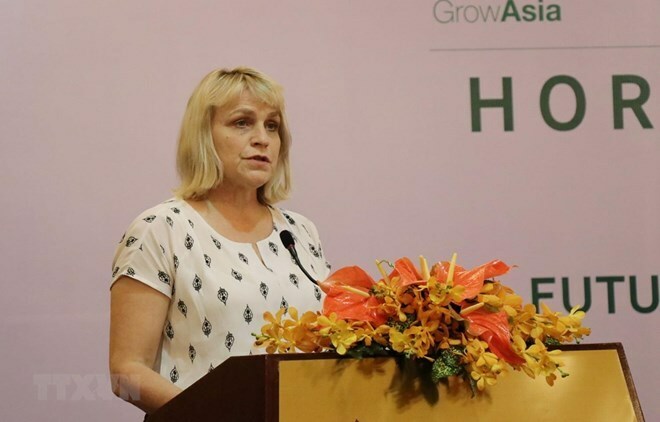 Dutch Vice Minister of Agriculture, Nature, and Food Quality Marjolijn Sonnema said cultivation has a big share in the Netherlands’ farm produce exports and the European country is ready to share its experience with Vietnam in this field. According to her, a number of joint projects have been launched in Vietnam, especially in the Mekong Delta. At the seminar, several Dutch firms introduced farming technologies, measures to build a supply value chain, and preservation and post-harvest technologies used in the Netherlands and other countries worldwide. Jean Marie Rozec, Executive Director of Rijk Zwaan Vietnam, stressed the need to form close partnerships between farmers and distributors, choose quality varieties, and adopt modern preservation technology. The seminar was co-hosted by the Dutch Trade and Economic Mission, the Grow Asia organisation, and VNU Exhibitions Asia-Pacific. There would be no big fluctuations in the foreign exchange rate and interest rate in 2019 as pressure caused by the normalization of monetary policy in major economies in the world has eased, according to the Vietnam Institute for Economic and Policy Research (VEPR) under the VNU University of Economic and Business. Inflation in the first quarter also showed an upward trend due to recent adjustments in the prices of electricity and petrol, the report said, adding that the impacts from those price adjustments could last for many months, requiring the State Bank to be cautious in managing money supply and credit. Compiled and edited by the Export-Import Agency, the Industry & Trade newspaper, and the General Department of Customs, the report was announced and published for the first time in March 2017. It has been welcomed by managers and export-import firms. They said the enterprises should pay more attention to the promotion of their images and trademarks via brand identity systems as well as meeting the target market’s quality and technical requirements. A new study by Visa and Stanford University finds that improving the payment system is vital to support commuters around the world. Payments lie at the heart of every form of travel, and will continue to become more integral as more cities move to contactless public transportation, digital payments for parking and rental services such as bikes or scooters. In fact, complexity in payment is often at the root of many common complaints placed by commuters. In a recent study conducted by Visa and Stanford University, more than 19,000 commuters in 19 countries were asked about their thoughts of public and private transportation, and the important role that digital commerce plays in driving sustainable growth. About 47 percent of respondents said the need for different tickets for different modes of travel is an issue, and 41 percent cited services being “cash-only” as an annoyance that may lead them to use cars instead of public transport. For car users, 47 per cent would like to see innovations that would advise on the cheapest fuel available. About 35 per cent would like an app that recognises the location where they are trying to refuel and pays through the app. From these findings, Visa suggested that city governments and urban planners need to collaborate with think tanks, automotive and technology firms, and payments providers to improve the payment experience. 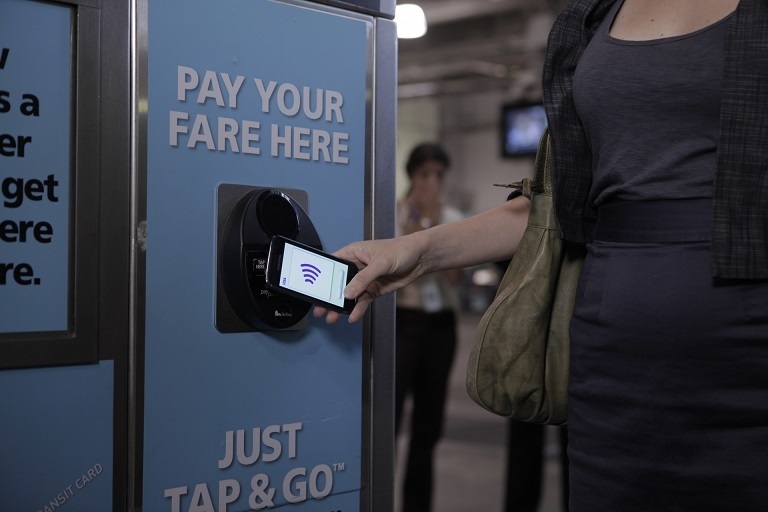 As a single journey will increasingly involve more than one mode transport (e.g., car, underground and bike), it becomes imperative to create a simple, streamlined payment experience for the commuter, ranging from contactless transit to in-app payments or platform-based solutions. Moreover, as companies and municipalities increasingly incorporate digital payments, they also need to integrate instant authentication. According to the researchers, the role of Digital ID in the ecosystem is critical to address the changes in the way people use transportation, ensuring that both payment and personal authentication is easy and seamless. Other recommendations are to invest in connectivity, design commerce systems with all members of society in mind and develop strategic partnerships to drive insights. "Visa and our partners have an important role to play, both in streamlining the payment experience for millions of commuters around the globe, and supporting public transportation authorities in their quest to build sustainable and convenient transportation solutions that improve the lives of the people who use it,” said Mike Lemberger, senior vice president for Product Solutions in Europe, Visa. 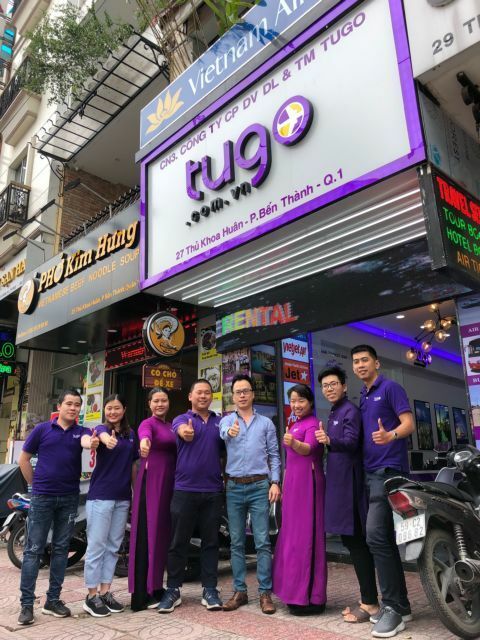 Staff of travel start-up company Tugo at an office in HCM City. The company is developing premium tours to meet increasing demand. As part of a one-year deal, Criteo will provide retargeting solutions that enable Tugo to reach its target customers and promote tours with the partner airlines. The five carriers are Vietnam Airlines, Air China, Singapore Airlines, Brunei Airlines and Qatar Airways. Tugo said the tie-ups would enable it to develop premium tour programmes that provide customers with high-quality transportation and accommodation. It said Viet Nam has an increasing number of international and domestic tourists, driven by a rapidly growing middle class. Criteo’s solutions provide his company with insights to his customers’ travel booking preferences and readiness to purchase. Alban Villani, managing director, SEA-Pacific, Criteo, said: “We encourage travel operators to join us in adopting new technologies and digital solutions to better reach and engage end-users. 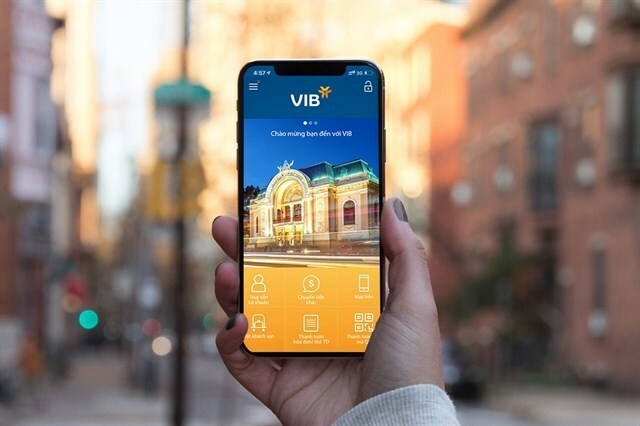 The growing digital economy is driving travel booking on websites and mobile apps as Vietnamese become more mobile- and app-savvy. PV Gas planned a low profit target for 2018 but by the end of the year, it recorded net profit of VND11.7 trillion (US$502.1 million), surpassing its yearly goal by 82 per cent thanks to higher-than-planned oil prices (up $23.4 per barrel). It continued to set modest targets for 2019, with total revenue of VND63.9 trillion (US$2.74 billion) and net profit of VND7.64 trillion ($328 million), down 16 per cent and 35 per cent year-on-year, respectively. This projection is based on the forecasted oil price of $65 per barrel. With positive performance of global oil prices, the company estimates revenue of about VND20 trillion ($858.4 million) and pre-tax profit of VND2.9 trillion ($124.4 million) in the first quarter. PV Gas, a member of PetroVietnam, is Viet Nam’s largest natural gas company which runs integrated operations, from drilling for gas through marketing. It controls nearly 70 per cent of the domestic market for liquefied petroleum gas. Shares of the company, listed on the Ho Chi Minh Stock Exchange with sticker GAS, declined 1.9 per cent on Tuesday at VND107,000 ($4.60) per share. 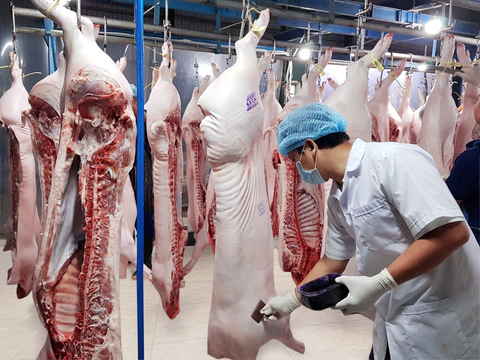 Wholesaler MM Mega Market Vietnam (MM) has announced it has been working closely with farmers and authorities to tighten control over quality of pork products at all stages from breeding to slaughter and transportation to ensure safe pork is supplied to consumers. Since its launch in June 2017, the Dong Nai pork platform is now entirely supplying safe pork to MM stores in Central and South Viet Nam. This transit facility is run in close co-ordination with farmers and pig farming meets VietGAP standards and quality is strictly controlled in a closed loop. MM is currently in partnership with nearly 400 farms in Dong Nai, and provides the market with more than 250 tonnes of clean, safe pork a month. 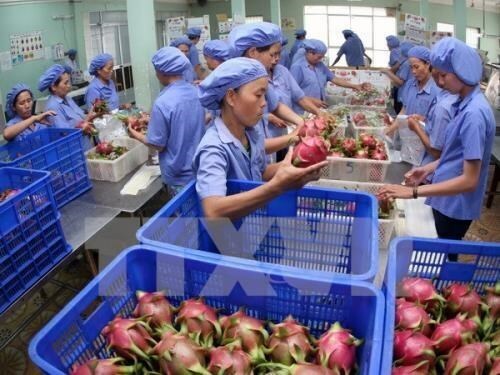 In this time of disease outbreaks, Phidsanu Pongwatana, managing director, MM Mega Market Vietnam, said, “MM has maintained close communication with the Dong Nai Department of Agriculture and Rural Development, advocating farms to participate in the outbreak control training that is available. “We have been working with the farmers on the ground to increase the frequency of disinfection of the farms and workers and keep strangers away from the farms as much as possible to prevent the diseases from spreading. Furthermore, all the breeding farms that are in partnership with MM are also being closely monitored by the local sub-department of livestock production and veterinary, which has been a valuable source of training in farming procedures and animal health knowledge, as well as how to prevent and control diseases. The pigs raised at farms are all marked with traceability rings and put through urinal rapid tests to find any banned substances, and visually checked for skin colour and overall physical condition before being slaughtered and taken to the market. Besides being closely watched throughout the farming process, before being taken to the slaughterhouse pigs from participating farms are clinically examined by veterinarians and must get a healthy pig certificate before they are permitted to be slaughtered. In the post-slaughter stage, the vets continue to examine the pork quality, stamp the products and issue a certificate for each batch. At the slaughterhouse, the trucks that carry the pork to the MM Mega Market system are sealed. To keep the meat fresh, MM Mega Market Vietnam has made serious investments to obtain advanced equipment and specialised trucks. At the pick-up points, MM quality control teams check the transport temperature by accessing the temperature log inside the specialised trucks to make sure the temperature remains at 2 - 4oC, and once again examine the pork quality before chopping the meat and taking it to consumers. Every pork product on sale at MM stores comes with a QR code stamp for traceability for origin, allowing buyers to easily check information about the originating farm, standards applied and slaughter date among others with just a click of their smart phones. Currently a supplier to more than a million HORECA (hotels, restaurants, canteens) customers, Phidsanu said confidently: “Food quality and safety remain our top priority when we serve our customers. 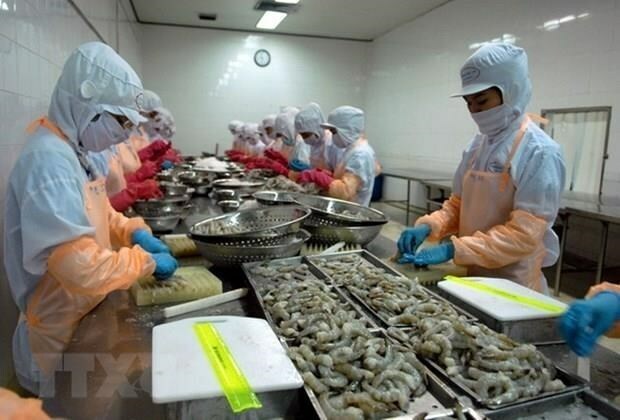 MMs fresh food quality has been firmly established after a decade in Vietnam. “Our food platforms, including our pork platform, also have capable farm engineers sent to the farms to provide advice and guidance to make sure that the products not only meet VietGAP standards but also MM Mega Market's own standards." One of the frontrunners in growing and developing the value chain-based farming model, MMs Dong Nai pork platform is a joint operation with LIFSAP (Livestock Competitiveness and Food Safety Project, World Bank) and farmers. This value chain model is under strict control from the farm to the slaughterhouse and until the products are distributed to the market, offering consumers safe pork products, especially in the current context of pig diseases that are worrying buyers. 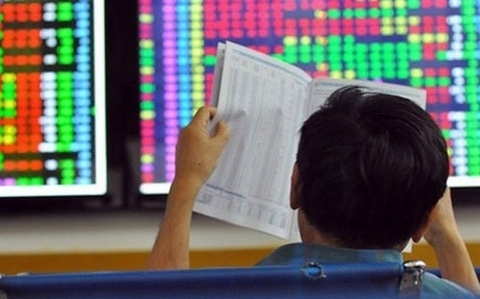 As many as 21,265 new accounts of domestic investors were opened in March, the highest number since April 2018 when the VN-Index reached its peak of 1,200 points. According to the Viet Nam Securities Depository Center (VSD), the number included 21,176 individual accounts and 89 organisational accounts. In March, the market experienced fairly positive movements, including the time the benchmark VN-Index on the Ho Chi Minh Stock Exchange reached the 1,015-point landmark, the highest level since October 2018. As of the end of the first quarter, the total number of securities accounts in Viet Nam reached 2.23 million accounts. Of that number, 2.2 million were accounts of domestic investors, while nearly 30,000 accounts were those of foreign investors. Food and drink being served on a Vietjet flight. Vietjet has agreed to advance a 10 per cent cash dividend payment to its shareholders, equivalent to more than VND542 billion (US$23.3 million). The additional payment means the company’s shareholders will receive nearly VND1.62 trillion ($70 million) for the fiscal year 2018. Earlier last week, Thai Vietjet – a joint venture of Vietjet and Thai airline Kan Air – said it would increase the frequency on its two routes connecting Da Lat and Da Nang with Bangkok. The Da Lat-Bangkok route will be operated daily, starting from Tuesday while the flight on Da Nang-Bangkok route will be increased to three round-trip flights per day, starting from Friday. In a document sent to its shareholders prior to the 2019 annual shareholders’ meeting on Thursday, Viettel Post said it plans total revenue of VND6.7 trillion (US$288.5 million) and net profit of VND380.2 bilion ($16.3 million) in 2019, both up more than 36 per cent over last year. Its total assets are expected to increase 34.3 per cent to more than VND3.8 trillion by year-end. Viettel Post has recorded impressive growth in the last five years with revenue in 2018 almost quadrupling the 2014 figure to reach VND4.9 trillion, while the 2018 net profit was seven times higher than in 2014, to VND279 billion. 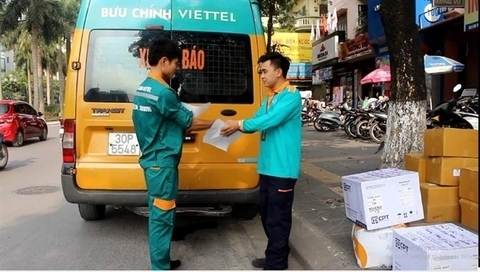 In the 2019-24 period, Viettel Post aims to become the No 1 sales enterprise in Viet Nam based on a smart logistics platform. To achieve this, it will continue to expand delivery and logistic services, and further promote the application of technology and an e-commerce platform, as well as increase investment in warehouse infrastructure. Its shares, coded VTP on the Unlisted Public Company Market (UPCoM), are trading around VND182,000 ($7.81) per share. 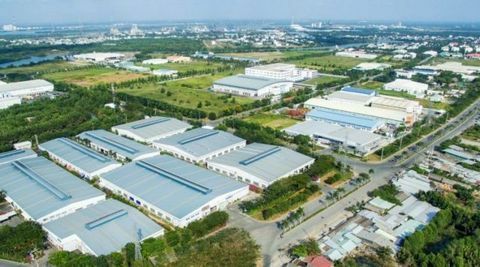 Industrial zone developer Kinh Bac City Development Share Holding Corporation (KBC) has set higher business targets for 2019, aiming for total consolidated revenue of VND3.9 trillion (US$167.4 million) and net profit of nearly VND1.04 trillion ($44.5 million). Last year was successful for Kinh Bac City Development, as its net revenue reached nearly VND2.5 trillion, almost double 2017. In particular, land rental fees exceeded VND2 trillion, contributing 78 per cent of total turnover and up 181.6 per cent year-on-year. In recent years, KBC's business has concentrated in northern localities of Bac Ninh, Hai Phong and Bac Giang and HCM City's Cu Chi District. This year, the company will invest in infrastructure construction of Quang Chau IP, Nam Son Hap Linh Industrial Park (PK), Tan Phu Trung IP, Phuc Ninh IP and Trang Due IP. The company’s profit after tax reached nearly VND809 billion, up 30.7 per cent compared to 2017 and surpassing the yearly target by more than 1 per cent, in which net profit of the parent company was VND746 billion. It is expected to pay 10 per cent cash dividend two times this year – the first 5 per cent in the second quarter and the last 5 per cent in the third quarter. The remaining 20 per cent dividend payment will be scheduled at an appropriate time. GoBear Vietnam has launched Easy Apply, a smartphone app that enables banks, financial institutions and lenders to extend credit to a larger pool of customers. Seamless integration between its website, www.gobear.com/vn, and the app would enable faster, more convenient and higher approval rates on direct applications for personal loans, credit cards and other forms of unsecured credit, the company said. The app uses AI-based proprietary algorithms that analyses thousands of data points from applicants smart phones, turning them into predictive credit scorecards to be used to appraise personal loan and credit card applications. The use of non-traditional smart phone data for credit scoring provides applicants from all demographics, especially the unbanked who have little to no traditional credit history, easier access to financial products. The app begins with GoBears easy choices which help applicants understand which set of products better suit their profile before they instal it in their smart phones to generate their predictive digital scorecards. It will start with personal loans before including other loans in the near future. Nguyen Mai Long, general manager of EASY CREDIT, the first partner to adopt Easy Apply, said: “By partnering with GoBear, we aim to reach new potential customer segments. This will enable us to consult and provide loan products that best suit the needs of each individual, as well as minimise the approval time to bring the best experience to our customers." The People’s Committee of Ca Mau Province has come up with several solutions to supply the predicted shortage of one billion cu.m of gas at Ca Mau’s Gas- Power-Fertilizer Industrial Complex. The People’s Committee of Ca Mau Province has asked the Ministry of Industry and Trade to ensure sufficient gas supply for Ca Mau’s Gas-Power-Fertilizer Industrial Complex, which is expected to have a serious shortage by September, according to Nguyen Tien Hai, chairman of Ca Mau’s People's Committee. The gas supply for the province would be less than 1 billion cubic metre per year, while demand was 2.26 billion cubic metres per year, Hai said. The shortage would affect the production of the Gas- Power- Fertilizer complex and the province’s budget. To solve the problem, the province has asked the Government and the ministry to put into use Block B on the O Mon gas field and connect the gas pipeline of the complex to the field to ensure a gas source and operation of the industrial park, according to Hai. The new gas source will contribute to the region’s economic development and increase national electricity production. In addition, the provincial authority is calling for enterprises to invest in the liquefied natural gas industry in Khanh An Industrial Park. Recently, many enterprises have proposed construction of a new gas thermal power plant in Khanh An Industrial Park with a design capacity of 1,500MW. 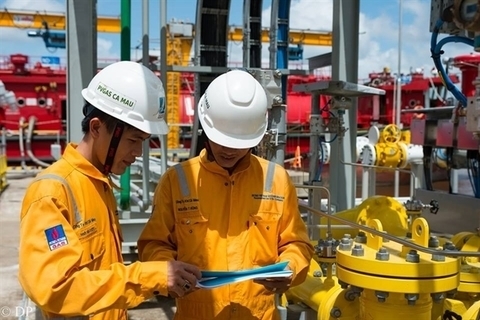 Last month, Vietnam Oil and Gas Group (PetroVietnam) and the Malaysian oil and gas corporation Petronas signed an agreement for additional gas to be provided to the Ca Mau complex. Under the agreement, the complex will receive additional gas of one billion cubic metres per year starting from the end of this year. The Ca Mau Gas-Power-Fertilizer complex was built in 2001 in the southernmost province of Ca Mau. PetroVietnam invested in the complex, which includes two gas thermal power plants with total capacity of 1,500MW, one fertilizer plant, and 3,252km of gas pipeline.